Tired of swiping right? Bumble making you humble? On an unsuccessful Hinge binge? Or tired of your dating life not Happn’n? 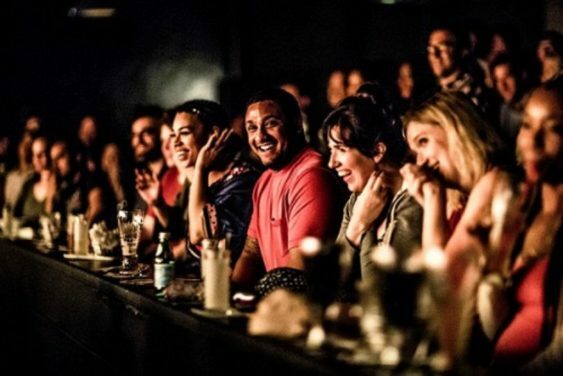 Come to HellaSingle… SF’s only comedy show and dating mixer for singles ready to mingle. Laugh at world-class comedians and maybe meet the love of your life. Comedians will perform their funniest jokes on topics that include being single, dating, relationships, marriage, dating apps etc. Also, there is full bar and kitchen. FREE with RSVP, otherwise $10 at the door. Every Friday they will feature a different line up of local stand up comedians that have appeared on TV, comedy festival, and international competitions. Time to mingle: After the comedy show, stick around for cocktails and an hour of mingling. Maybe you’ll meet your soul mate? Updated 3/12/19 – Event info last checked via website.